With pregnancy comes great changes both on a physical and psychological level. Our bodies and our needs change throughout pregnancy and time for self care becomes more important than ever. Muscles are stretched, hormones are constantly changing and the load on our joints increases. Bump and Beyond Health and Fitness has a range of specialist services available to you to make your journey through pregnancy a more pleasant and comfortable one. Whether you have just given birth or whether you gave birth many years ago, you are considered postnatal. Your body will have undergone many changes and we are here to help you to recover and optimise your movement and function. 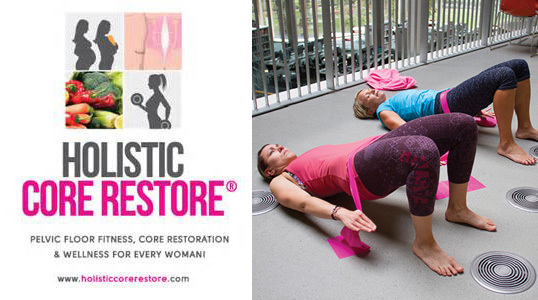 Whether you are experiencing back or joint pain, have a diastasis recti, pelvic organ prolapse, are peri or post menopausal, or simply just want to exercise safely postnatally we are here to expertly guide you on your individual postnatal journey. With over 15 years experience in the Physiotherapy treatment of a multitude of conditions, I am in an optimal position to treat and manage your physiotherapy needs using a vast variety of treatment techniques and modalities. I have specialised in Paediatrics and Women’s Health Physiotherapy to provide you and your growing family with specialist physiotherapy care here in Gibraltar. Becca's been my 'postnatal trainer' following the two births of my girls. Buggyfit allowed me to start training in a safe, fun and structured environment. The classes are a fab way to regain your fitness whilst laughing away the joys of parenthood!! So grateful to Becca's dedication to improving women's health and removing the taboo from the many 'oops' moments that motherhood brings!! Buggyfit should be mandatory! Buggyfit has been instrumental in my post birth recovery and not just physically. It is lovely to be able to come together with women experiencing similar physical and/or emotional issues during the inevitable adjustment period after having a baby and be able to talk to people who can relate. Additionally Becca is fantastic, her knowledge and expertise second to none and whatever your particular circumstances (I have scoliosis) she caters to your needs and ensures you work out safely and within your capabilities. I did baby yoga (now discovery) and baby massage with my lo and would thoroughly recommend both. It meant I spent the full hour with complete interaction with my baby without any interruptions and was given different ideas and massages to do at home. It was also great for meeting other mums and I made some long lasting friendships. Becca was a wonderful teacher. The Holistic Core class is a real eye opener and Becca is fantastic at helping you make these small changes to your lifestyle which can help you feel happier and healthier without feeling like you're depriving yourself of anything. I've suffered from back pain since having my kids and since attending the class I've noticed my core is much stronger and a result I don't have the constant pain anymore. Her Babyfit class is also great - being able to get back into physical activity without feeling guilty you're leaving your little one behind to do so. Becca is super enthusiastic and at the same time very attentive. This unique and ground-breaking 6-WEEK, instructor-led programme will empower you through simple education and MOVEMENT-BASED PELVIC FLOOR EXERCISE to get you re-connected to your pelvic floor and entire core and includes education on nutrition and women’s fitness/wellness at whatever life phase you’re in.